Products of the Ukrainian confectionary corporation Roshen will return to the Russian market after violations found are eliminated, acting head of the Russian consumer rights watchdog Rospotrebnadzor Anna Popova told Interfax. "The elimination [of issues] is held gradually. The consultations at the expert level are held constantly. We hope that we will able to allow these products as soon as all violations are eliminated," Popova said. In June 2013 the Russian watchdog banned supplies of chocolate and candy produced at four Ukrainian plants of Roshen due to quality issues. When testing the sweets produced at the Roshen plants, violations of legal demands on the human sanitary and epidemiological wellbeing - organoleptic indicators and toxic additives - and of consumer rights law - non-compliance of information on nutrition value of products to the one on the label - have been found, Rospotrebnadzor said. In mid August Rospotrebnadzor chief at the time, Gennady Onishchenko, and Ukrainian Agricultural Policy and Food Minister Mykola Prysiazhniuk agreed on the mechanism to return Roshen products to the Russian market. 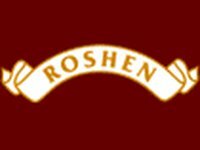 Roshen, one of the largest manufacturers of confectionery products in Ukraine, is comprised of factories located in Ukraine, Lithuania, and Hungary. The corporation manufactures up to 200 types of confectionery products, including chocolate and jelly sweets, caramel, chocolate, biscuits, waffles, and cakes. It produces 410,000 tonnes of products a year. Roshen supplies its sweets to Russia, Kazakhstan, Uzbekistan, Kyrgyzstan, Azerbaijan, Armenia, Moldova, Estonia, Latvia, Lithuania, the United States, Canada, Germany and Israel.